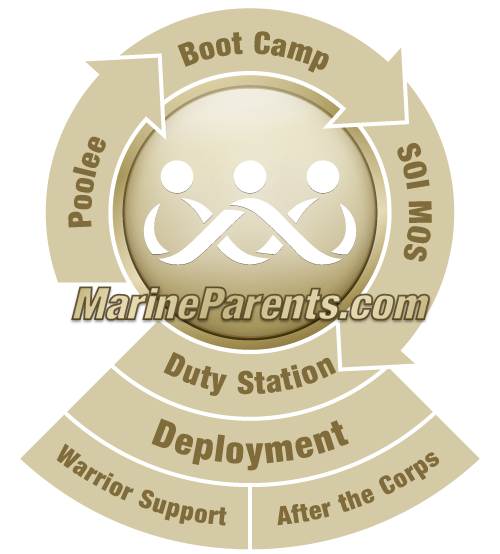 Marine Parents is a national IRS-approved 501(c)(3) public charity with our corporate office and Marine Corps store in Columbia, Missouri. Contact us with questions about your recruit or Marine's career in the Corps or to request support through one of our outreach programs. Contact information for specific concerns, requests, our corporate office and online store follow. We look forward to hearing from you! We are open Monday through Friday, 8:00 - 5:00 Central Time. We are closed on national holidays. We do not have emergency or intervention services available at Marine Parents. If you have an emergency, dial 911. If you need to contact your Marine or Recruit under urgent circumstances such as a family death, tragedy, or life-threatening injury or illness, contact your local Red Cross (click here for more information). If you would like to publish a military event on Marine Parents, please complete a request form. Click here for EVENT form. If you would like to suggest a link or resource be added to one of the Marine Parents web sites, please complete a request form. Click here for LINKS form. If you would like to advertise on one of the Marine Parents web sites, please click here for more information.